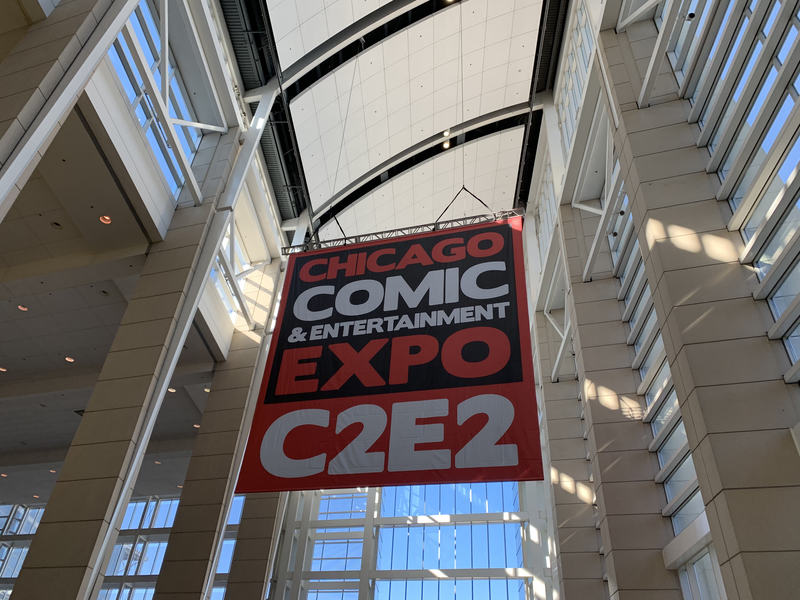 Our first trip to Chicago was an amazing experience! 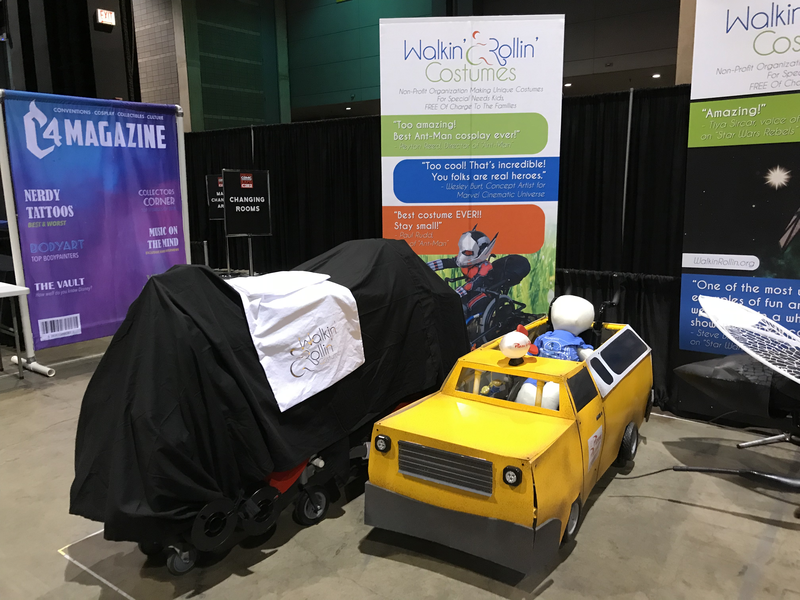 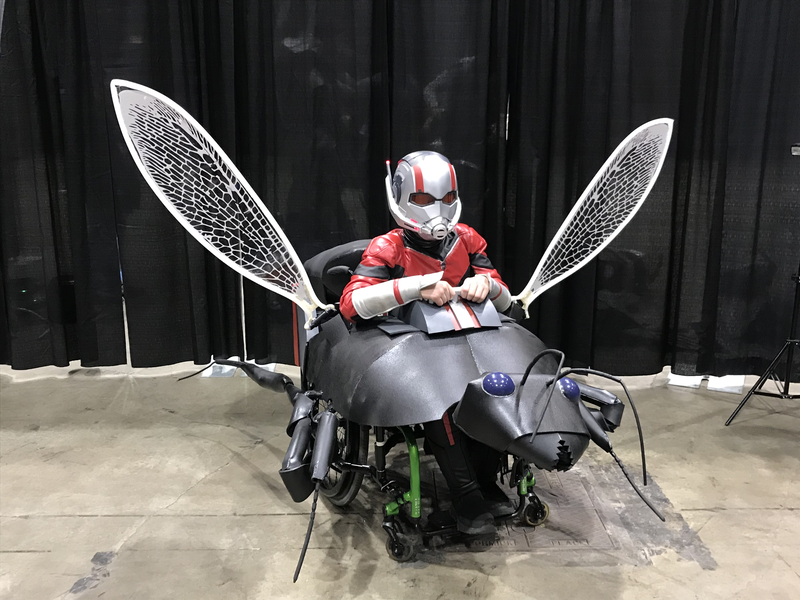 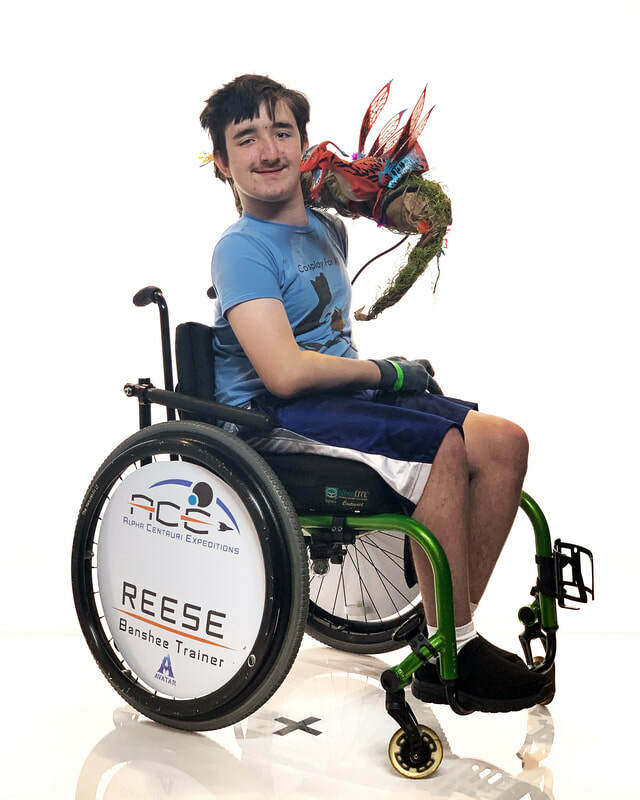 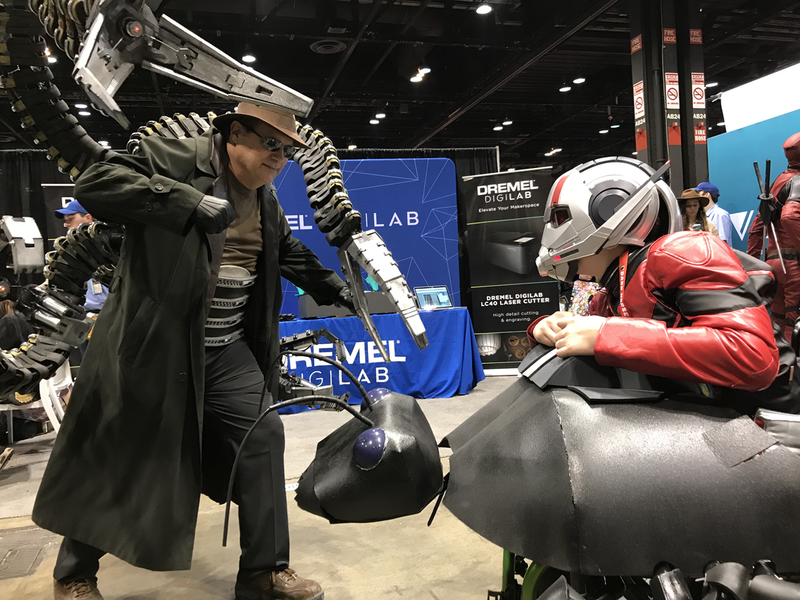 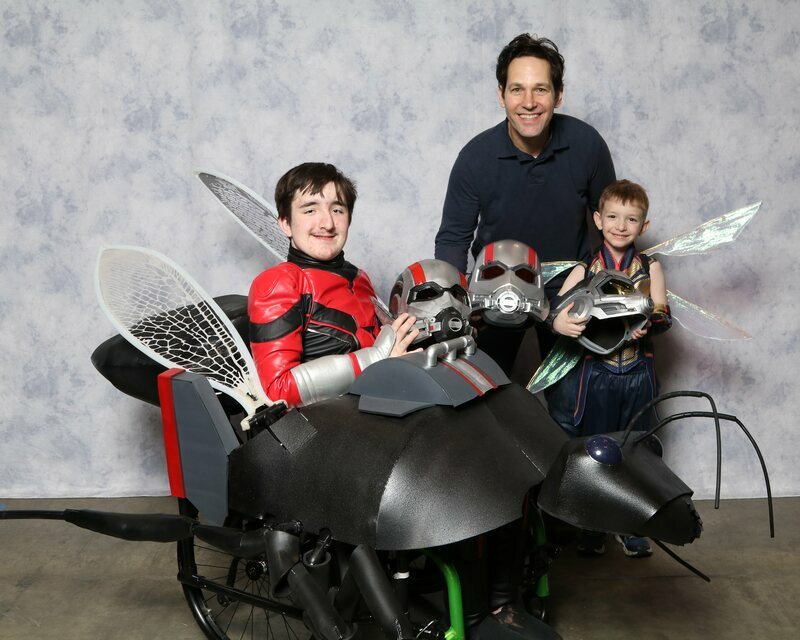 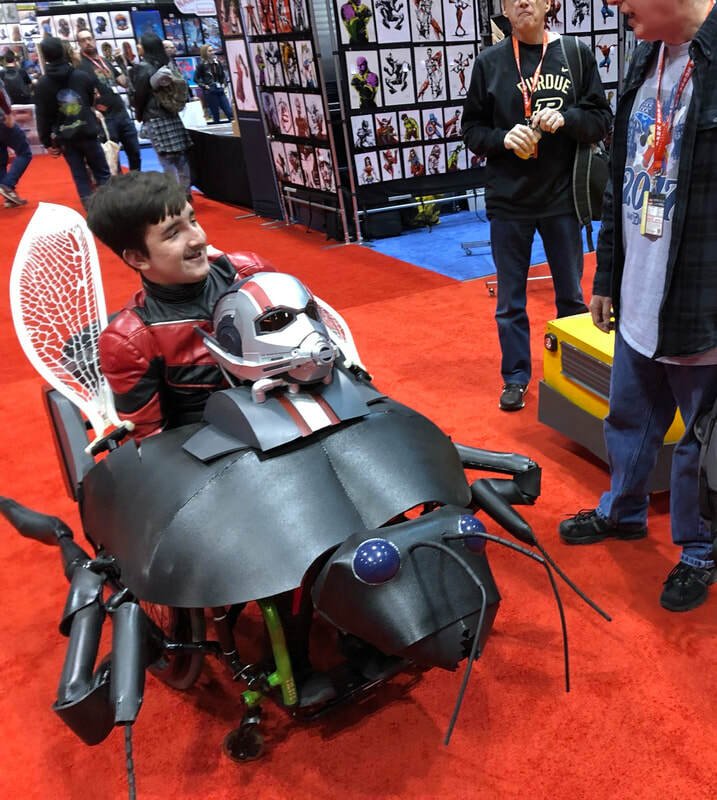 We packed up a trailer with 4 wheelchair costumes to share with C2E2 including one to give away. 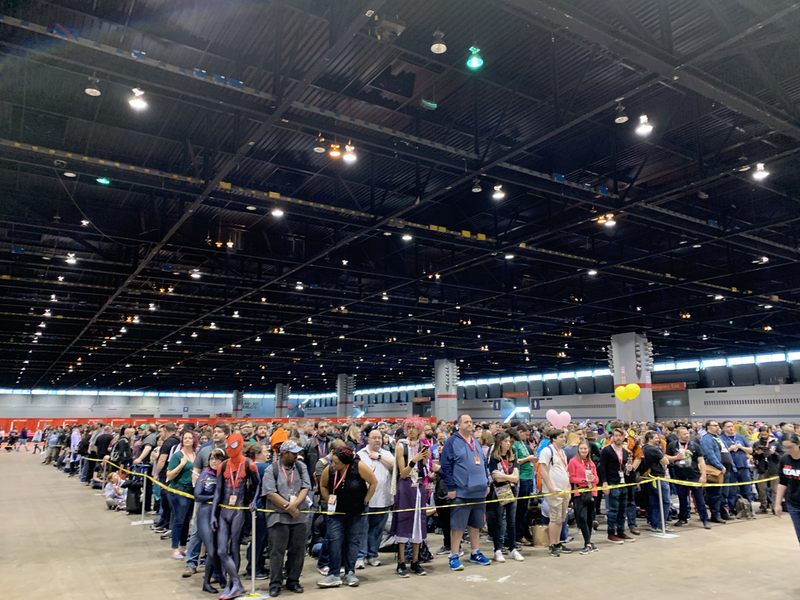 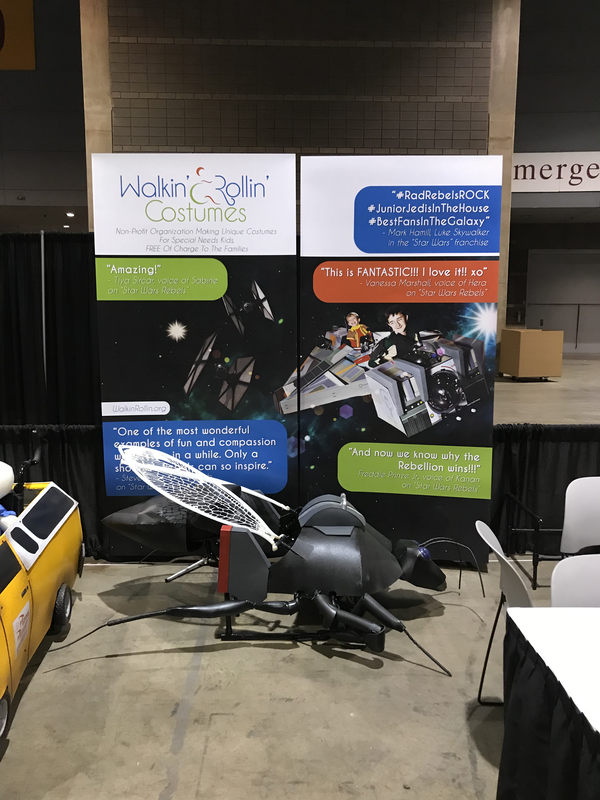 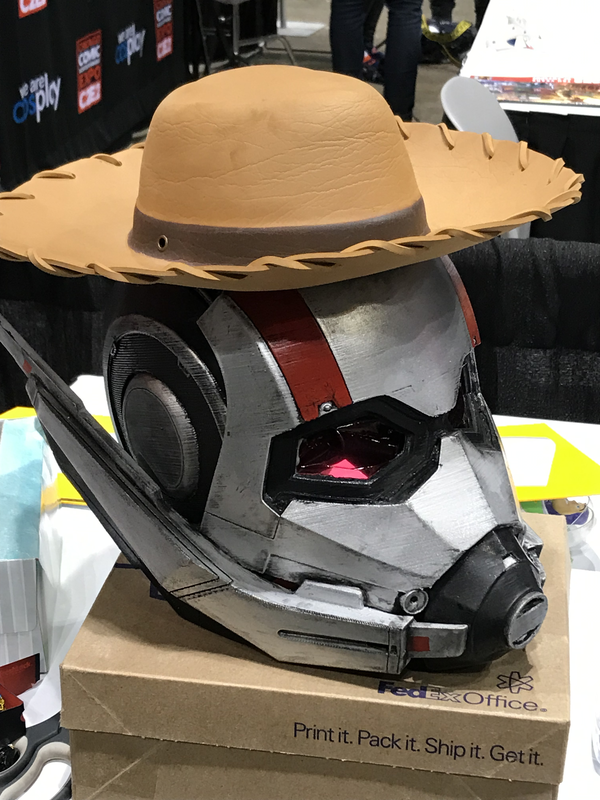 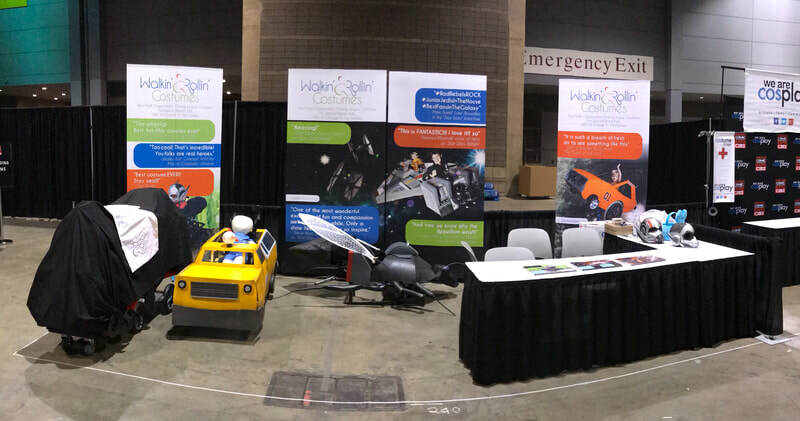 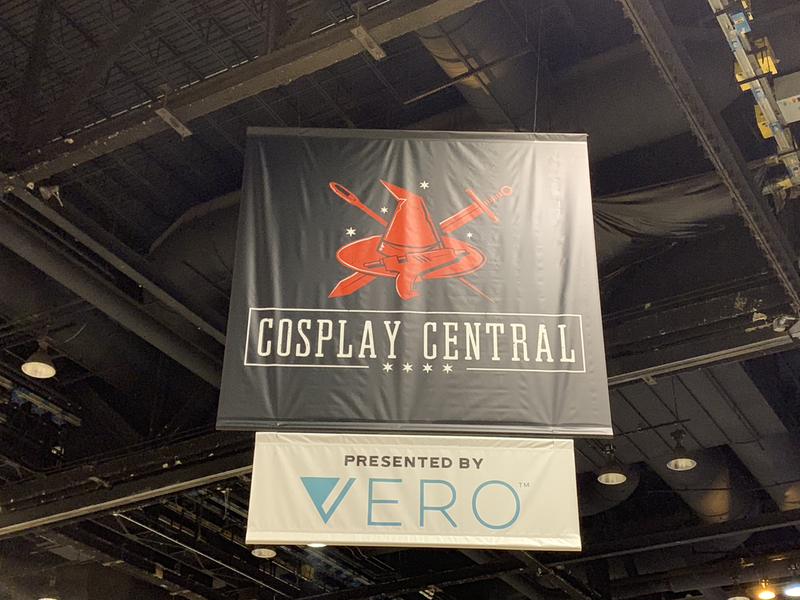 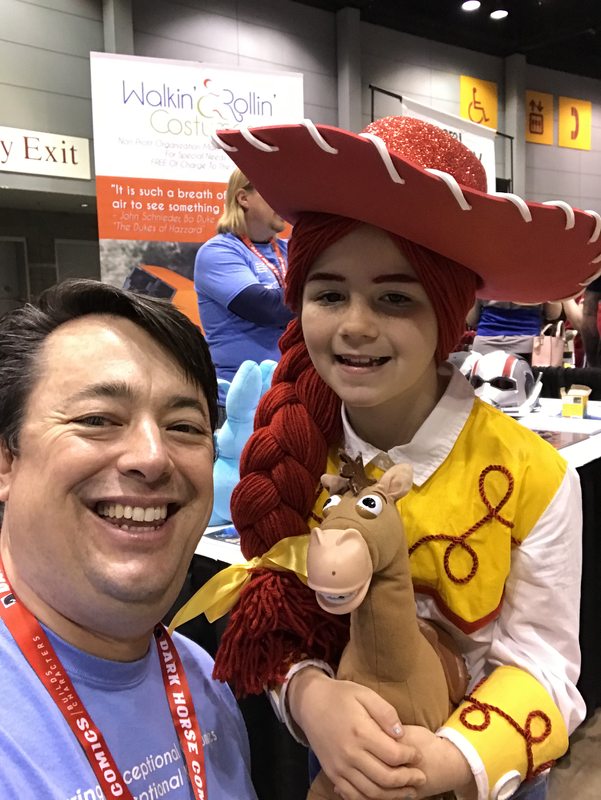 We weren't sure what to expect when we set up our booth in Cosplay Central, but we ended up making some amazing connections, meeting some talented individuals, and inspired by some extremely charitable people. 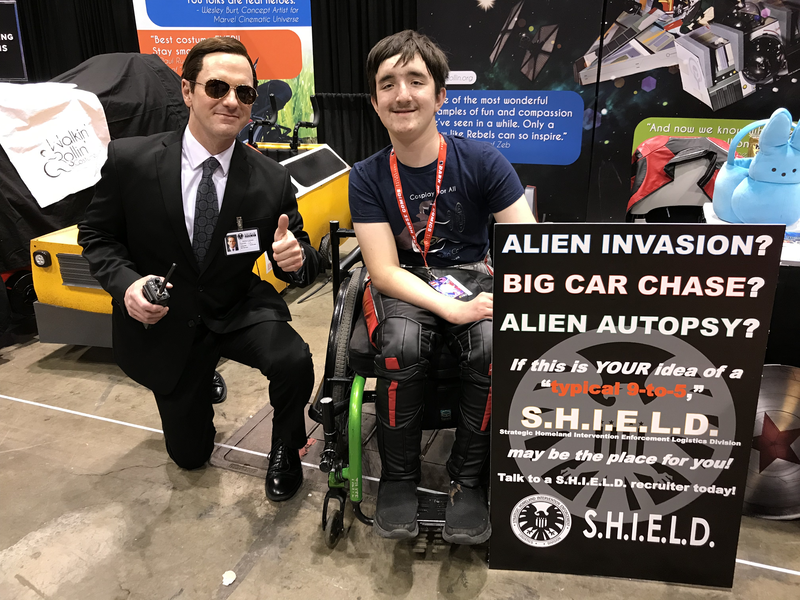 The entire experience was humbling and it was an honor to be there. 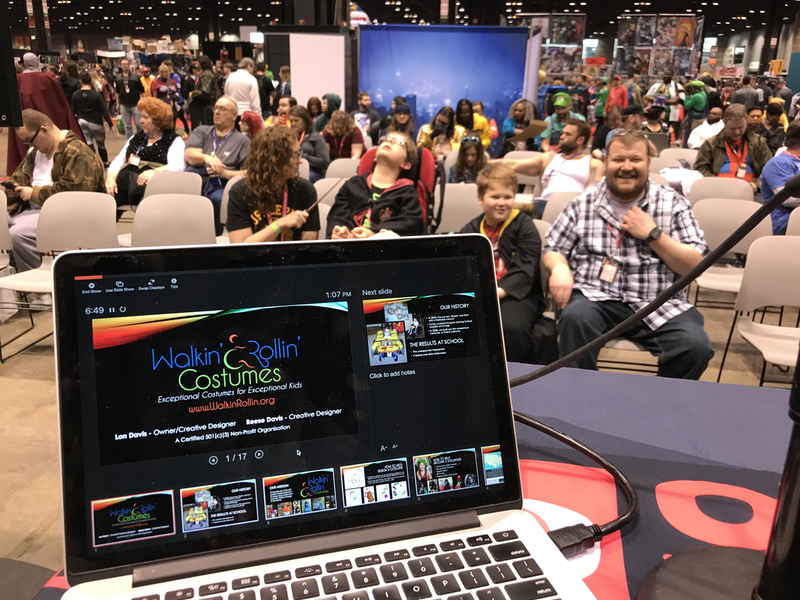 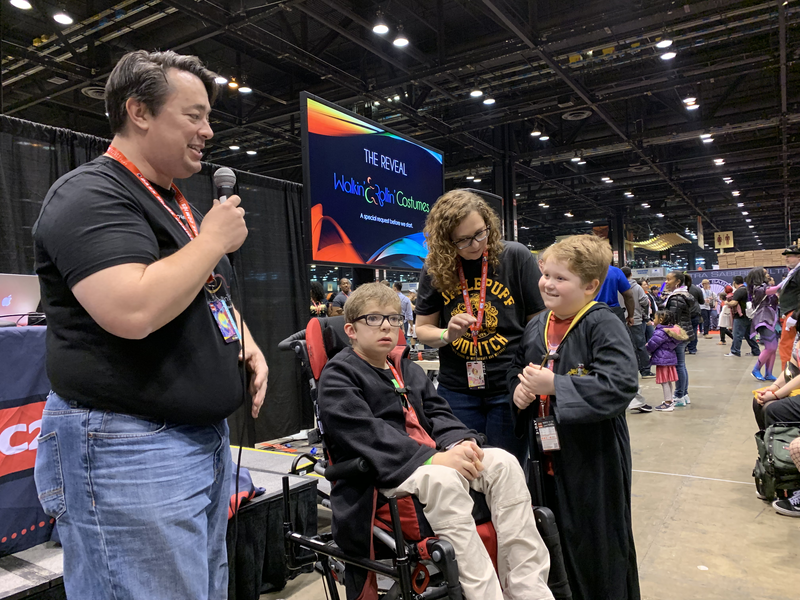 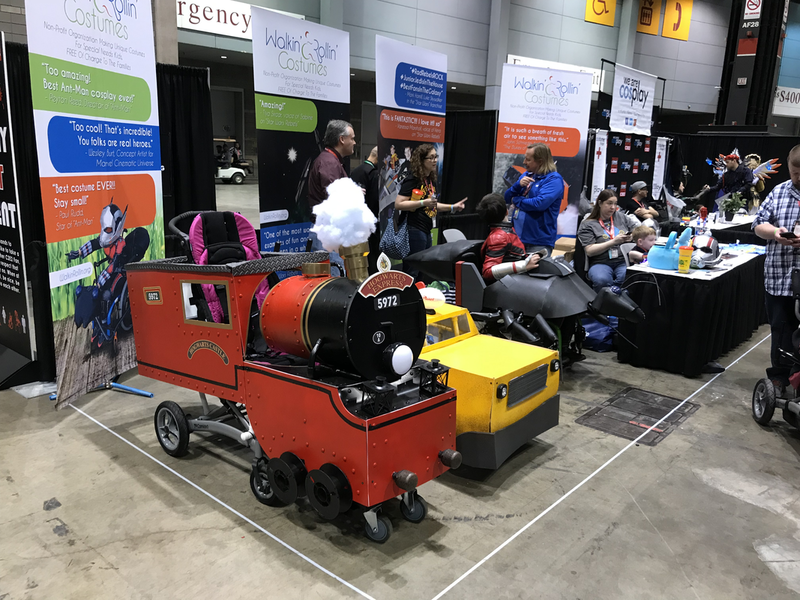 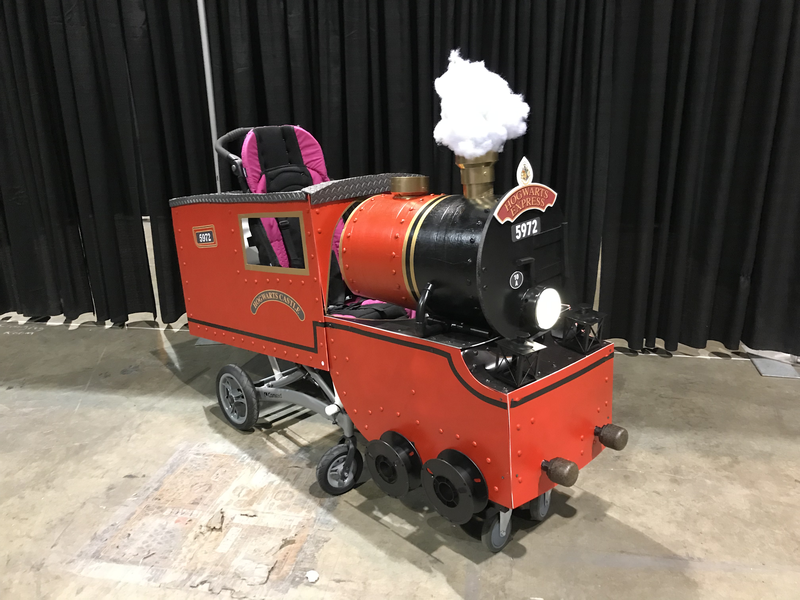 We were grateful to be able to give Jack his Hogwarts Express Harry Potter themed wheelchair costume in front of a huge crowd and I hope that his family enjoyed their first experience at a comic con. 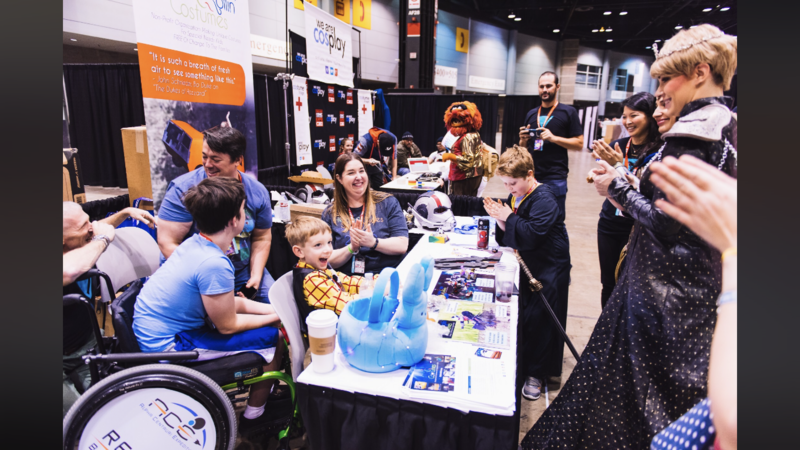 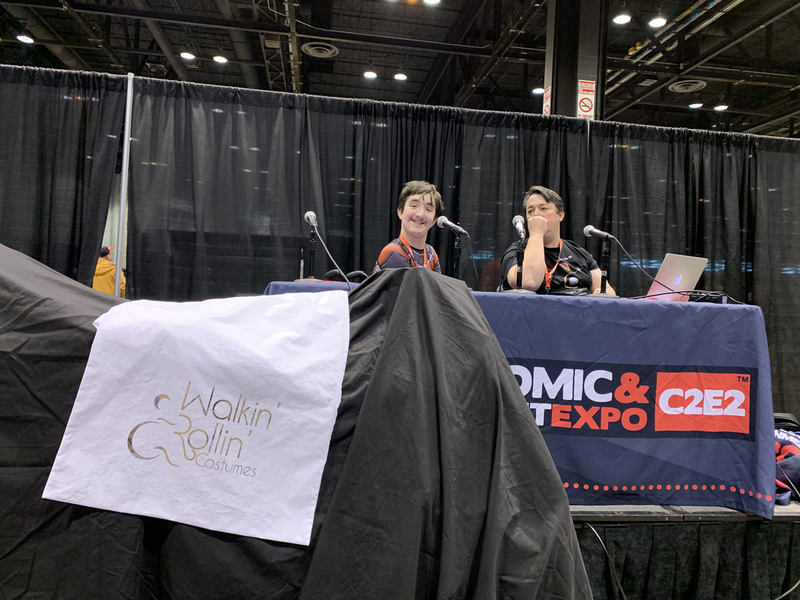 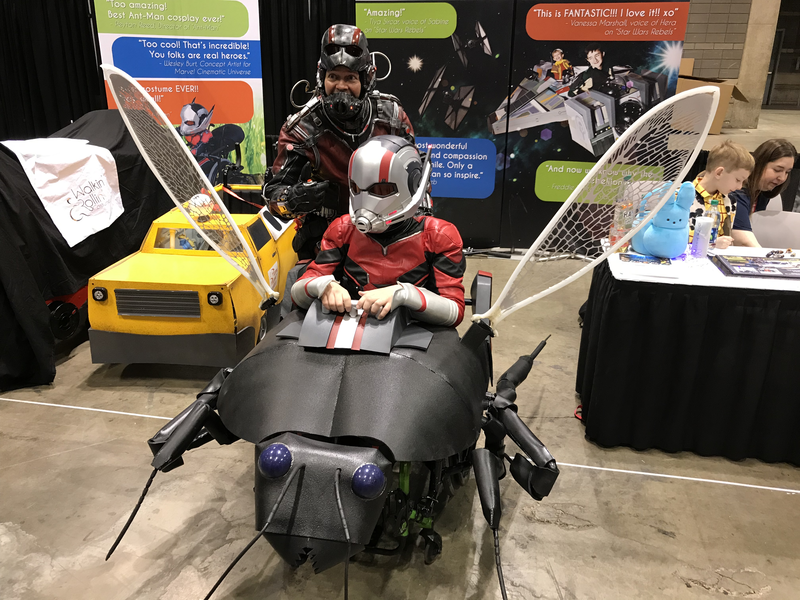 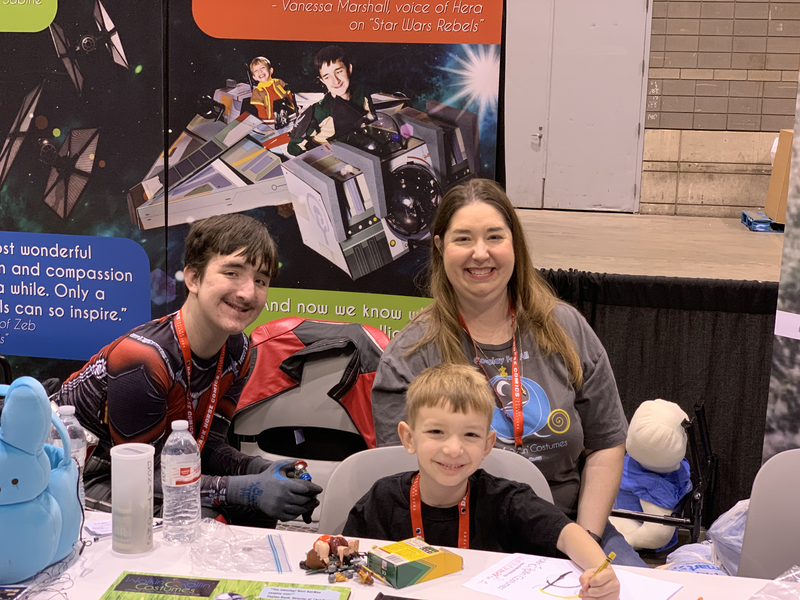 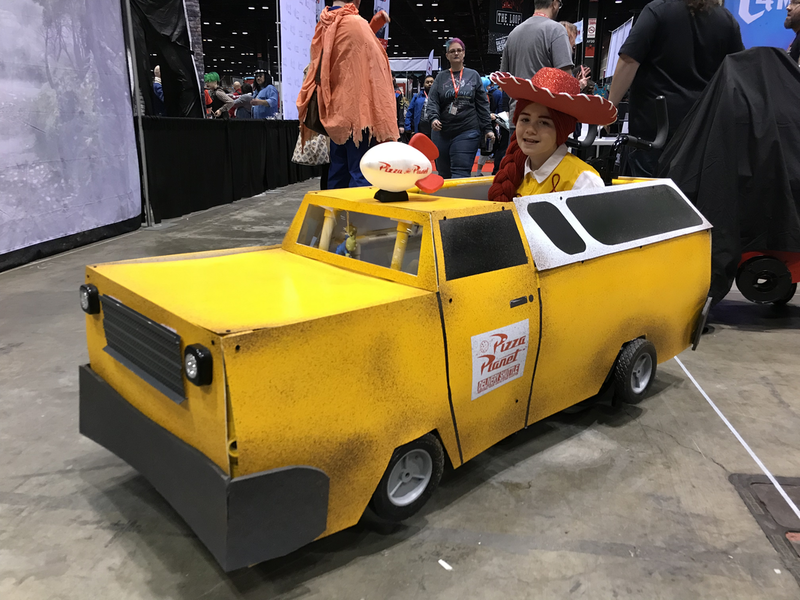 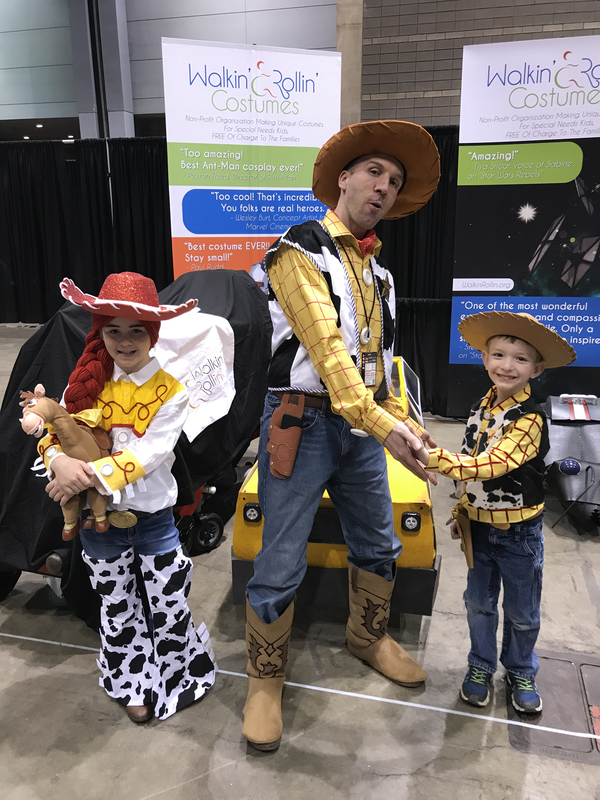 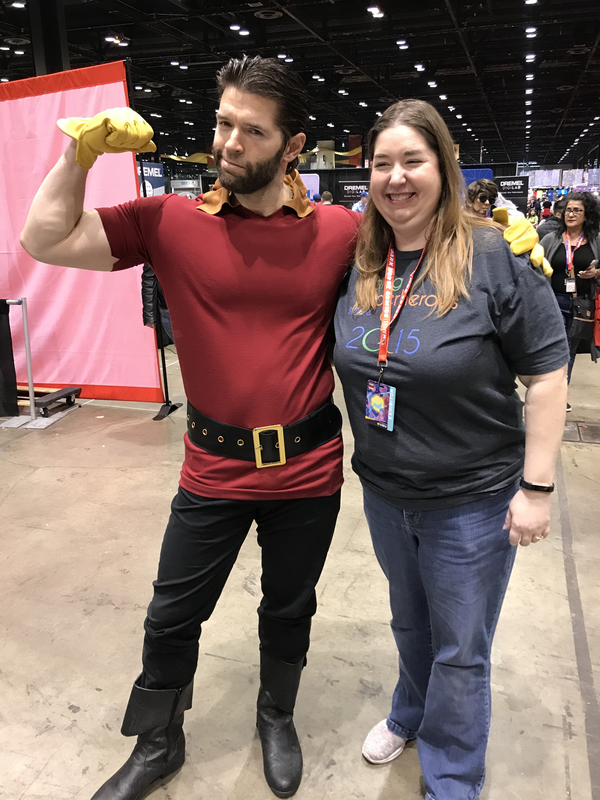 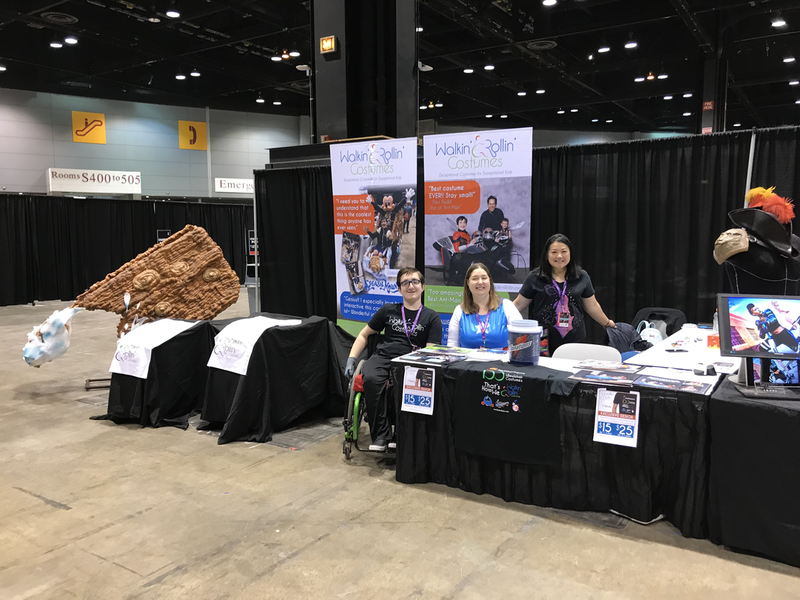 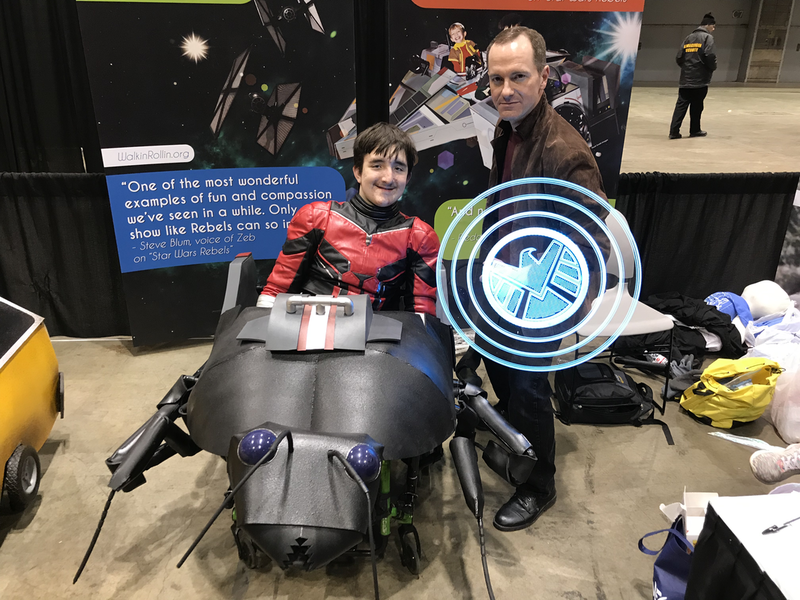 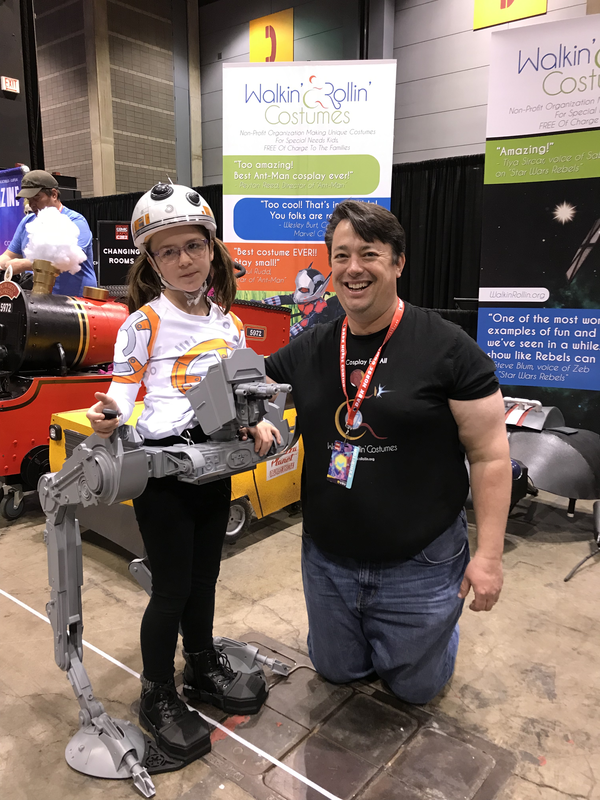 Thank you to everyone who donated to help bring Jack and his family to C2E2 and make that experience happen for them. 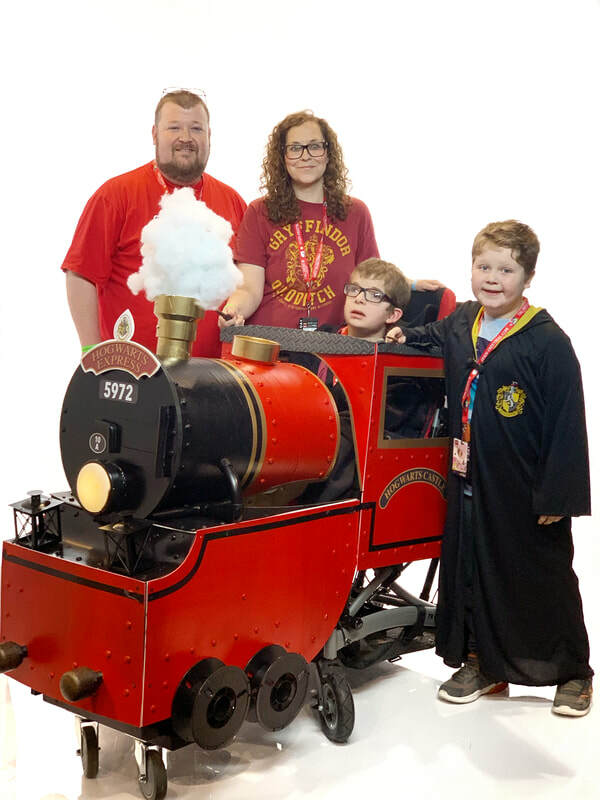 Here are some of the photos we took of the experience. 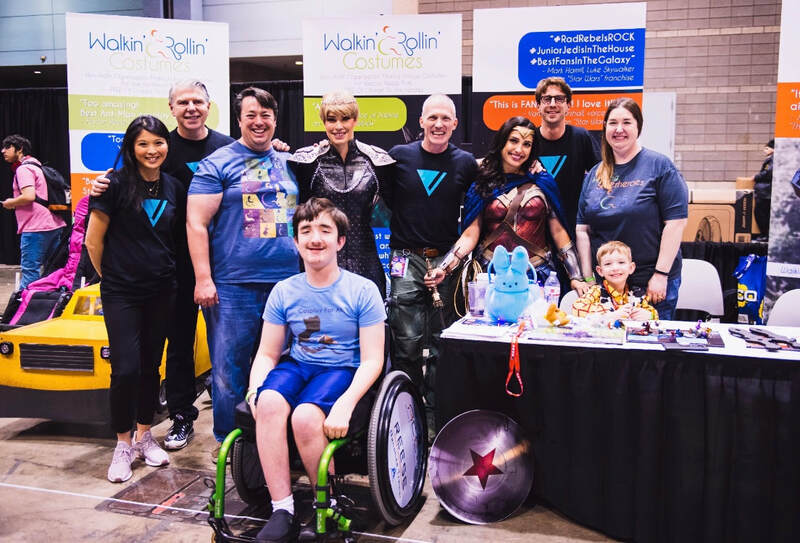 A special thanks to Vero who made a special donation to Walkin' & Rollin' Costumes on Sunday.